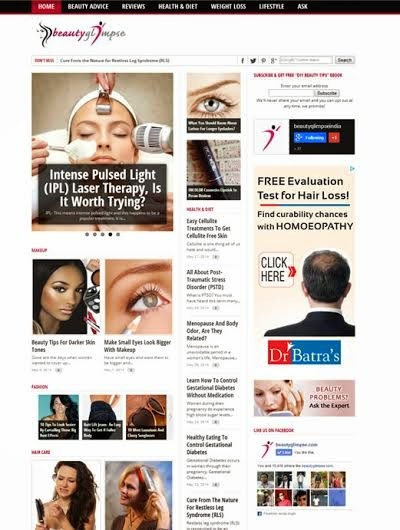 Today’s review is going to be of the website Beautyglimpse which is the one stop destination for unbiased reviews, beauty tips, DIY remedies and cosmetic procedures. The website, started by a team of industry experts is a treasure trove of information for the woman of today who wants to be fashionable, beautiful and confident. At the first look itself, you can find all the categories well laid out for you to pick the articles that interest you. If you are plagued by skin issues, then you will find many home remedies like scrubs and face packs that will help you get flawless skin. They also feature lots of makeup tips to enhance your beauty and accentuate your looks. Beautyglimpse has a section dedicated to hair care and hair styles from where you can pick up ideas about taking care of your hair and styling your hair. Their styling ideas, complete with pictures will make sure that you won’t be wearing the same boring hairstyle day after day. Check out their fashion section for styling tips that will bring out the trendiest best in you. Keep visiting Beautyglimpse often and it sure is going to inspire you to change the way you dress and put for the health-conscious, Beautyglimpse has sections covering fitness and diet. You can find tips to tone your body and a variety of exercises and yoga postures that you can incorporate in your regimen and get fit. You can find lots of ideas about how you can plan your meals and what you should be eating to remain healthy and fit. If you are concerned about your weight, then you should visit their weight loss section that gives you effective tips and remedies that help you burn fat and It is also among the few website in India that gives you comprehensive information about various cosmetic procedures – be it to lose weight, erase signs of aging or enhance your beauty. 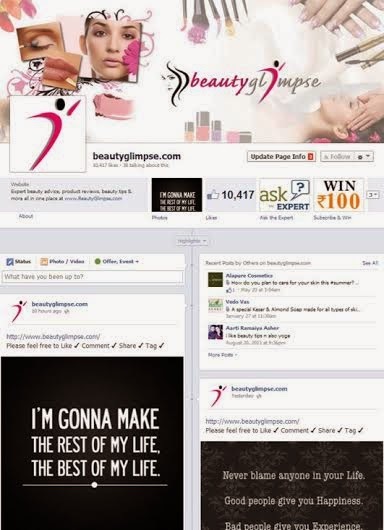 And if you have any problems that need to be solved, questions or beauty and health queries, you can always visit their Question and Answer - Ask the Expert and get all your queries answered by Beautyglimpse is an addictive website that gives you interesting information that will help improve your beauty, health and overall lifestyle. Visit them right away and before you know it, you will be visiting them every single day. You can also follow them on facebook and never miss an update. Nice review on the site!